Sochi 2014: the 10th International GFP Camp! For the next few days we will have daily blog posts focused around the 10th international Generations For Peace Camp. What is the Sochi 2014 Camp? 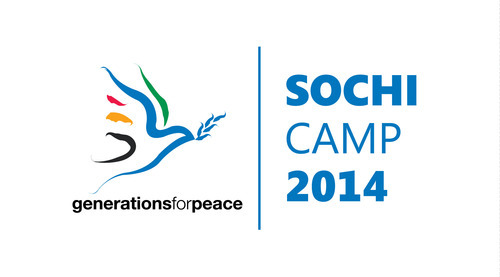 The Sochi Camp, which is one of our biggest events of 2014, will gather 71 newly-recruited Generations For Peace volunteers from eight countries: in particular, Bosnia and Herzegovina, Georgia, Jordan, Kyrgyzstan, Former Yugoslav Republic of Macedonia, Russian Federation, Serbia, Turkmenistan. This Camp is an exciting climax to the incredible partnership between Generations For Peace, Sochi 2014 Organising Committee, and Sochi City Administration – the “Legacy Today” collaboration. What will happen at the 2014 Sochi Camp? 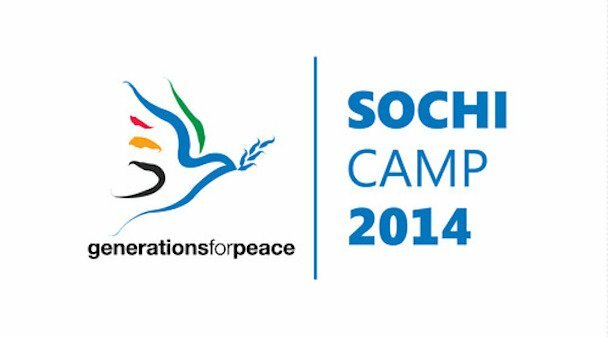 Through eight days of intensive training at the 2014 Sochi Camp, the carefully-selected Delegates will participate in dynamic sessions building their knowledge in how to lead social change and conflict transformation. Our unique curriculum includes sessions on conflict analysis, programme design, monitoring and evaluation, as well as facilitation and the training of others. The Delegates will practice using sport, arts, advocacy, dialogue and empowerment activities as vehicles to engage children, youth and adults to transform conflict and build peace. Who will be attending the 2014 Sochi Camp? All the 71 Delegates are volunteers, active in their own communities and passionate about addressing local issues of conflict and violence. While the Delegates have diverse experiences, they each share a commitment to lead and cascade change to make a positive impact in their own contexts. Upon return home, the Delegates will continue to receive support and mentoring to design, implement and evaluate their own programmes promoting youth leadership, community empowerment, active tolerance and responsible citizenship. Why should you keep checking the blog for Sochi Camp updates? This blog will be of interest to the existing Generations For Peace community, potential future volunteers, and individuals interested in the work of GFP and/or peace building and conflict transformation more generally. The daily posts will provide insight into content discussed during the daily sessions, photos and videos of the process, as well as information on the Delegates participating in the 2014 Sochi Camp. Stay tuned!